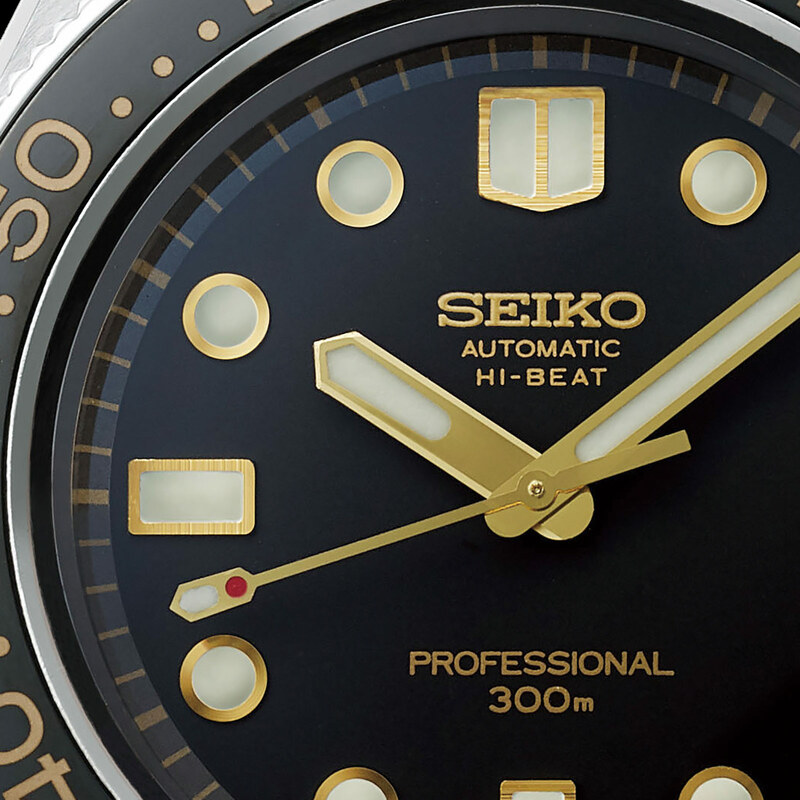 Seiko is continuing with its streak of vintage dive watch remakes at Baselworld 2018 with the 1968 Automatic Diver’s Re-creation, a spot-on replica of one of the Seiko’s earliest dive watches, the third in its lineage to be exact. The limited edition is modelled on the vintage ref. 6159-7001 (and to a lesser extent the nearly identical ref. 6215) of 1968. It was distinguished by its one-piece case rated to 300m, as well as gilt hands and hour markers. The remake does practically everything the same way, right down to the 36,000 beats per hour of the movement. But the cal. 8L55 inside is a modern movement with a 55-hour power reserve. 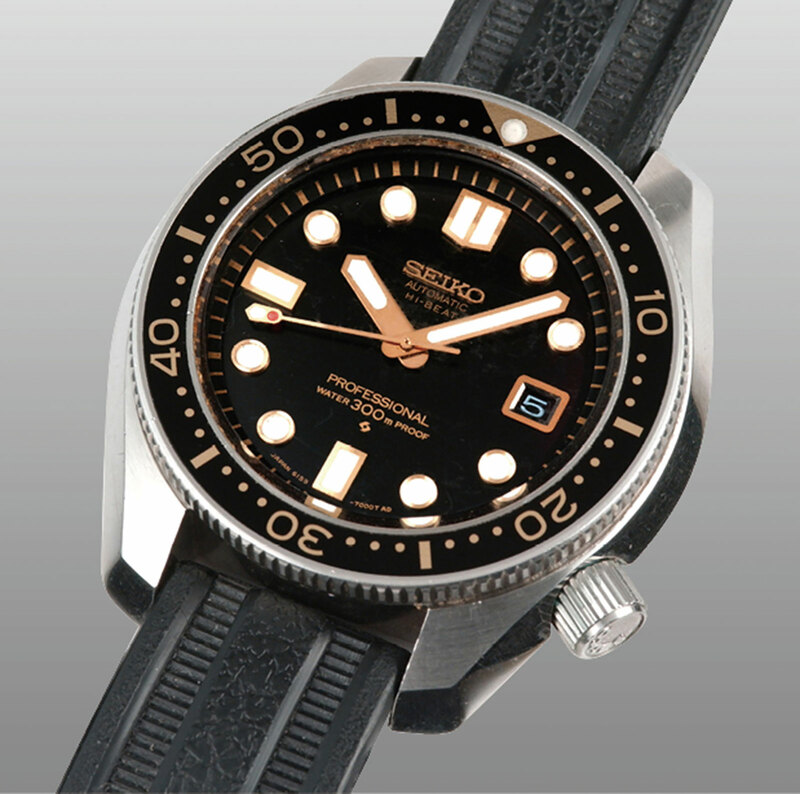 More notably, it is a variant of the 9S85 found inside the top of the line Grand Seiko watches but without the fine finishing or special regulation. The steel case is 44.8mm in diameter, 15.7mm high and fitted with a domed sapphire crystal. 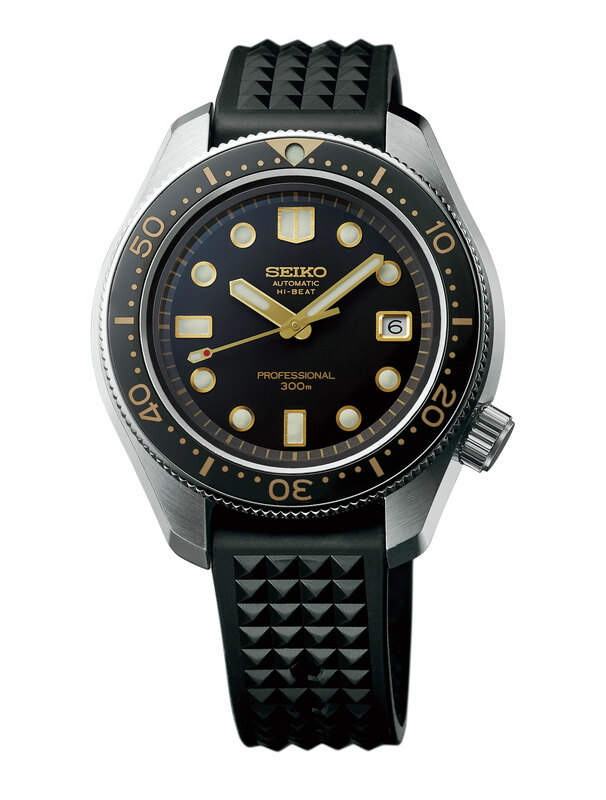 Unlike the basic Seiko dive watches of today, this diver remake has a case finished with the Zaratsu technique, the same technique used for flagship watches like the Credor Eichi II, which gives it flat and distortion free surfaces. It’s fitted to a silicone strap with a hobnail pattern that mimics that on the original. 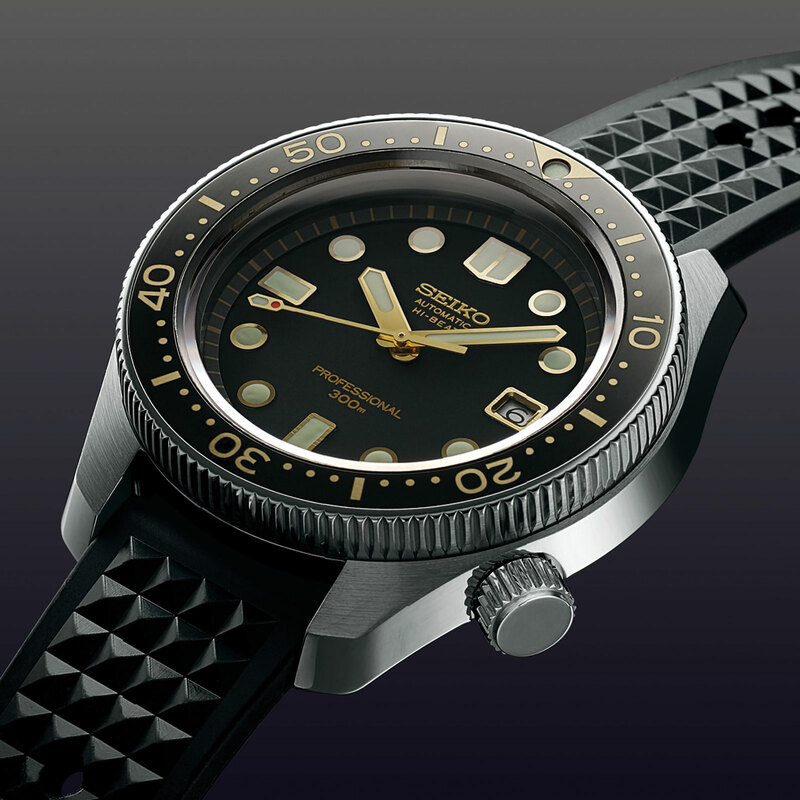 Limited to 1500 pieces, the Prospex 1968 Automatic Diver’s Re-Creation (ref. SLA025 or SBEX007) is priced at US$5400 or ¥550,000.